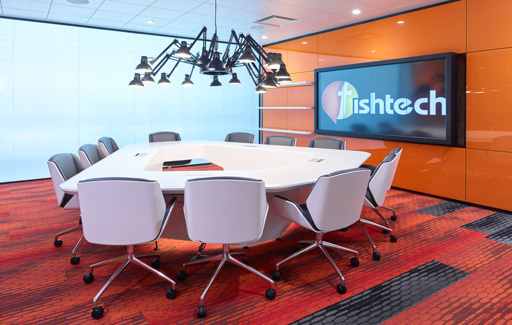 Fishtech’s new headquarters is a balance between display and work. The first floor serves as a showroom space with a large display area, conference room and kitchen to demonstrate the company’s technology, while the second floor is an open work environment. The exterior form was developed around the concept of contrast – light versus dark, warm versus cool. 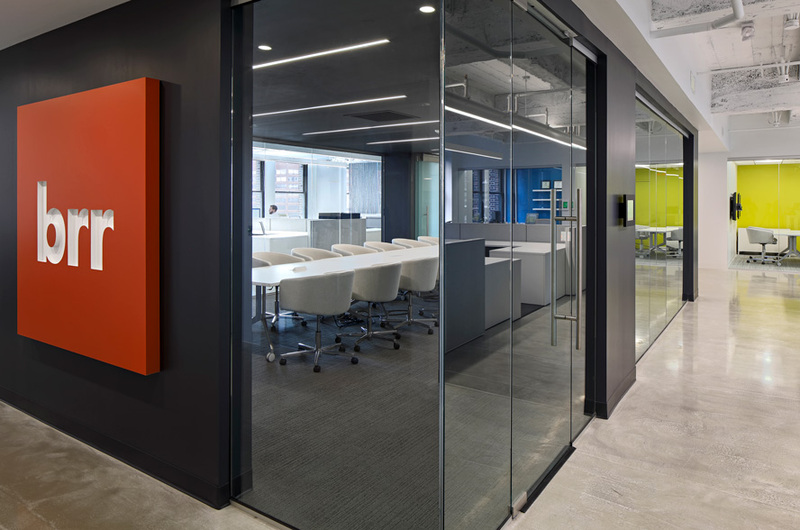 A white metal panel box was carved out to reveal the interior office environment, and sits over a glass structure. Stone blade walls anchor the vertical circulation and serve as a base for the metal box. To drastically contrast the pristine white box, a corrugated zinc panel wraps the back portion of the building. The materials create a dramatic inverse at night – the glass glows to reveal the interior, while the white box becomes a contrasting solid.